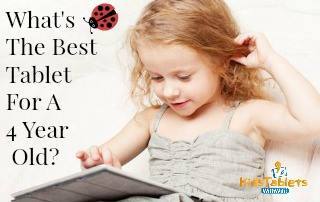 When you are debating getting your child a tablet, how do you choose the best one? Let’s compare the Innotab 2s vs LeapPad 2 Power because each features many wonderful aspects and both seem to be nearly the same device. 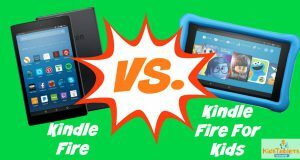 In reality, they are similar, but there are still aspects where one tablet beats the other. While looking at these tablets, please keep in mind that the LeapFrog LeapPad 2 has two models out there. One is called the LeapPad 2 Explorer (does not include WiFi,) and the other is the LeapPad 2 Power. I will try to differentiate the models throughout the comparisons, although this comparison is technically for the LeapPad 2 Power. Additional information and a detailed review for the LeapPad 2 can be found here. For convenience, we will rate them on a scale from 1 to 5 with 5 being the best. Both of the tablets are built for the age range 3-7, and have 5-inch screens. The screen quality for both of them is virtually the same. The Innotab 2s is built on a more child-like scale in the fact that it is slightly larger and has chunkier edging. This makes the appearance of the two differ. The Innotab is quite clearly a toy while the sleek look of the Leappad showcases a more adult style to match what mom and dad have. The Inntotab offers the colors blue and pink and the Leappad features the signature green or a pink. The Leappad has twice the capacity (4GB) for storage, but cannot be connected to an external memory source. While the Innotab only holds 2GB of memory, it can hold an SD memory card to expand memory if necessary. Which tablet is best for your family? If you are looking for a longer warranty, I would lean towards the LeapPad 2 Power with its full 12 month warranty as the Innotab only offers a 90 manufactures warranty. As you can see, both tablets offer a lot of the same features. They are generally in the same price range. I must admit that I like them both for different reasons. The LeapPad 2 Power offers the rechargeable battery pack with an AC adapter, but the Innotab allows for additional memory. We hope this comparison of the Innotab 2s vs the LeapPad 2 Power tablets helps you decide on the perfect tablet for your child.